For any business, whether established or just starting up, it can be very difficult to find the right way to advertise. Only 30% of SMEs have an advertising budget. For many businesses advertising can seem expensive, especially if the return on investment is no more than a guess. It is therefore difficult for SMEs and Sales Managers with limited resources to ‘try things’ without the certainty of getting results. Traditional advertising requires upfront investment, long-term commitment and is hard to measure and adjust if necessary. Unlike traditional advertising, online advertising campaigns deliver predictable results. 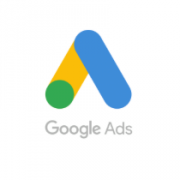 Ads is an online advertising service by Google that allows businesses to display ads on Google Search and pay only for the results. Google Ads is viewed as the best and most effective way to reach your prospective customer, drive relevant traffic to your business website, get phone calls and ultimately sell more. Google is the number one search engine in the UK, with 15 billion hits online per month. As of July 2017, Google reached a market share of 83.5%. Your business could be visible to an enormous audience if you advertise to potential customers on Google Search. Google AdWords specifically targets the people that are interested in what you have got to offer. Keywords typed in Google Search will trigger your ads to appear when, and only when, a potential client is looking for a product or service that your business provides. You can also specify the location, so your ads only appear to those that live within a certain geographical area. This is useful if your business only serves the local area. One of the most important benefits, especially for a small business, is the reasonable cost and high return of investment of Google AdWords. You don’t wait months for promised results. With Google AdWords you can see your business name and offer on the first page of Google as soon as we start. You only pay when a potential customer clicks on your ad and takes action; either calling you or going to your website. “In order to attract your ideal customers, you need to be in the right place, at the right time, with the right message. Why Hire an AdWords Account Manager? Prior to setting up a campaign, the Account Manager can advise on the keyword selection, the style of the advert, budget, duration and the best way to channel your investment to get results. The Account Manager will launch your campaign on agreed terms. This is followed by regular monitoring of the AdWords campaign’s performance. The Account Manager will use available data to adjust the AdWords campaign to optimise the results and provide you with monthly reports. Our Account Manager is trained and certified by Google. Framework Digital needs to meet high standards and are assessed by Google on a monthly basis. We have got years of experience and our customers are happy to recommend us.